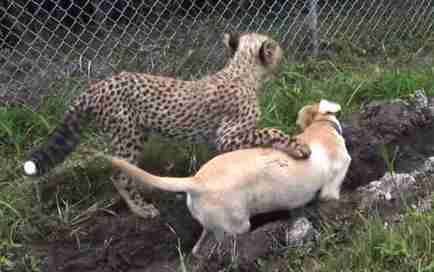 Every so often an extraordinary animal friendship makes international headlines. 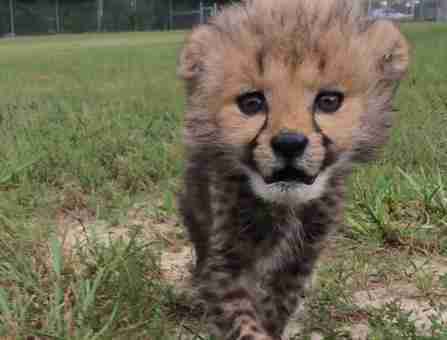 The latest comes from the Metro Richmond Zoo in Virginia. 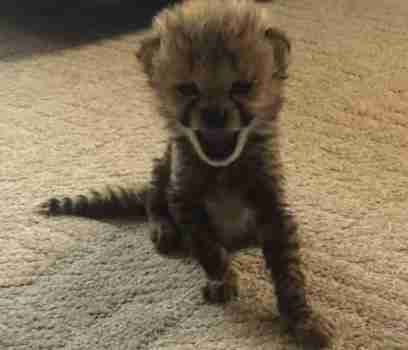 Kumbali was a cheetah born in captivity who wasn't gaining weight because his mom had trouble nursing. 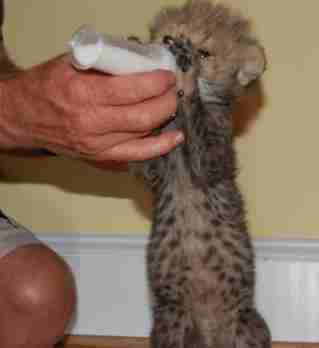 Zookeepers hand-reared him so that he'd survive. 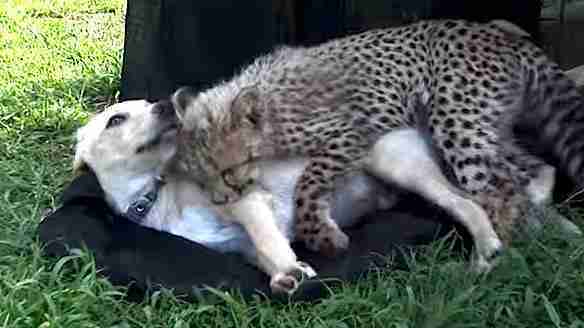 As Kumbali grew, he got more used to being around people than other cheetahs. "Even though he is on a mostly meat diet now, we still can't reintroduce him to his family," the zoo wrote on its website. "At this age, if we put him back with his mom and siblings, the mother would most likely consider him a threat." But because cheetahs are social animals, Kumbali couldn't be left alone, and despite his bonds with humans, he's still a wild animal. 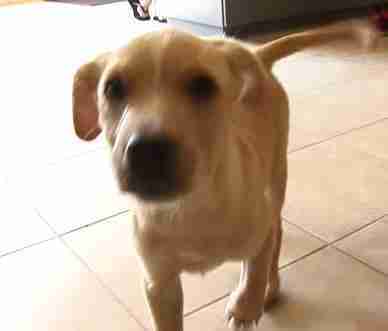 So the zoo figured out a way to keep Kumbali company: They rescued a dog no one wanted. His name is Kago. 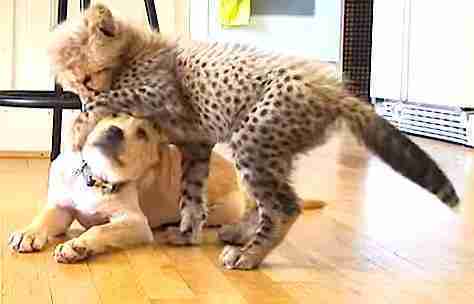 First pioneered 30 years ago at the San Diego Zoo, dog-cheetah friendships can have an important function for cheetahs bred in captivity, like Kumbali. "This symbiotic relationship would never happen in the wild; however, we believe the positive outcomes outweigh any negative," the zoo wrote. "As the two grow up together, they create a bond that becomes almost inseparable, sibling-like. They provide companionship for each other. 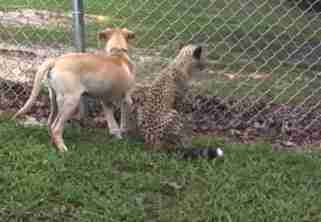 The dog has a calming influence because the cheetah will take behavioral cues from the dog, learning not to fear his surroundings, but instead embracing them with confidence." The friendship is a testament to the capacity to love that exists in so many animals. Unfortunately, as humans expand their own habitats, endangered species, like cheetahs, have less and less wild terrain to call their own. In 1900, there were about 100,000 cheetahs in the wild, but today there are only 10,000 to 15,000. That's a 90 percent decrease in the world's cheetah population over the last century. 10 percent of those are living in captivity, and conservationists see this captive population as a last line of defense in case the wild population is totally wiped out. Many animal lovers want cheetahs to be able to run free in the wild. But the amount of "wild" that's left is quickly diminishing. Whatever your view on zoos and conservation, one thing's for sure: When we look at this aww-worthy pair of friends, we should really remember the dire circumstances that brought them together in the first place. 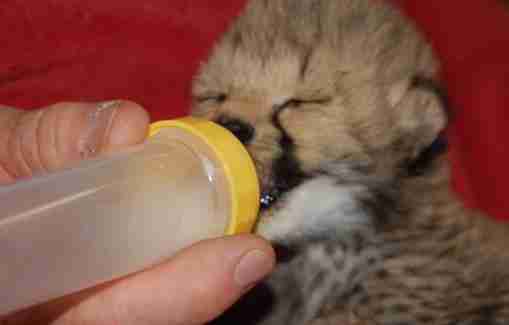 Learn how you can help save cheetahs from extinction here.